Seriously though, Breno is unlikely to extend and DvB's contact is running out too. Dante is rumoured to have signed but nothing is official. It is likely that Kirchhoff is a plan B for us. I think for a player to makes @ FCB either has to be promoted from our youth ranks or he has to be an established star! Yeah I totally agree. We shouldn't get young unproven players anymore. It's too early to judge Petersen, guy hasn't got his chance yet. He should get some 90-minute games and then we can see what he can do. Although Gomez is super-Mario and I never wanna see him getting subbed. Petersen did get his chances in September when Gomez was out. He bumbled in a goal against Schalke in a comical fashion and sucked all the rest of the time. According to goal.com, Dortmund, Schalke, Bayer Leverkusen, Borussia Monchengladbach and Werder Bremen also reportedly keen on the defender. Kirchhoff: "Interested parties have contacted my agent, that's true. 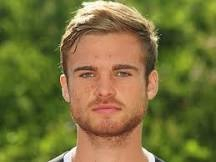 For me, what matters the most is only Mainz who are my priority"
According to La Gazzetta dello Sport, one of the least unreliable Italian sources, Inter have sent a scout to watch Kirchhoff during Mainz vs Stuttgart. Last edited by Firefox1234 on Sat Dec 08, 2012 2:33 am, edited 1 time in total.